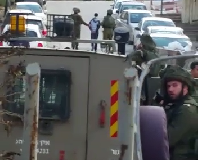 In the early hours of Wednesday the 10th of July, the Israeli army, arriving from the military camp near the settlement of Qedumim (8km west of Nablus) raided the Nablus neighbourhood of Al Junied, near the new Al Najjar university campus. The neighbourhood, which includes many student dormitories, was invaded by seven jeeps, who arrived between the hours of 1am and 3.30am, remaining until 5am. Seven jeeps full of soldiers entered the neighbourhood. Multiple tear gas canisters and sound bombs were fired directly inside three student apartments, setting fires which broke windows and burnt the walls, furniture, shoes, prayer mats and beds. Soldiers climbed the stairs of an empty building opposite the apartments and from there fired at close range into the student’s windows, severely burning two bedrooms and a balcony. 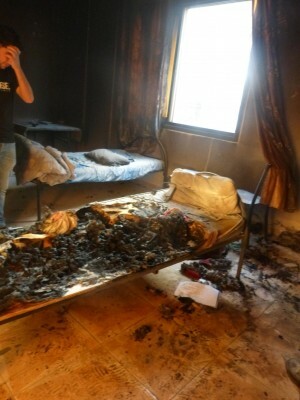 Luckily nobody was still asleep when the shooting happened because it is clear from what is left of the beds after they were burnt that anybody there would have been seriously injured. However, as the soldiers were shooting blindly into the apartments, they could not have known if someone was still in the rooms where they were firing. Although there were clashes between the army and youth outside the dormitory, students stated that no stones were thrown from the two rooms that were particularly targeted by the soldiers. The tear gas didn’t just burn the dormitories, but also spread its suffocating effects throughout the area. 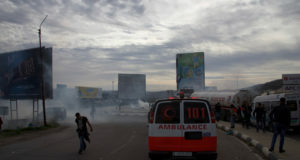 Many students suffered from the effects of severe gas inhalation, but the army prevented ambulances coming to the area throughout their attack on the students. At 8 pm, 16 hours after the time of the raid, it was still possible to smell teargas in the student apartments. One student was arrested during the clashes – his current whereabouts are unknown. This situation is not unusual in this neighbourhood; according to residents, the occupation forces generally raid the area at least twice a week. A man who works in the grocery shop near the student apartments explained that the commander of the Israeli army unit which invades the area regularly at the moment is quite new and must be ʺlooking for adventuresʺ. According to one of the students, the invasions all take the same formː gas, sound bombs, injuries and destruction. 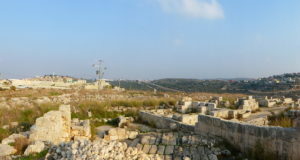 The Al Junied neighbourhood is nevertheless a part of the city of Nablus, which according to the Oslo agreements, is in Area A, which means that both security and civil administration should be the role of the Palestinian Authority. As usual the Israeli army ignore these agreements, accompanied by the silence of the Palestinian Authority and the passivity of the Palestinian police. 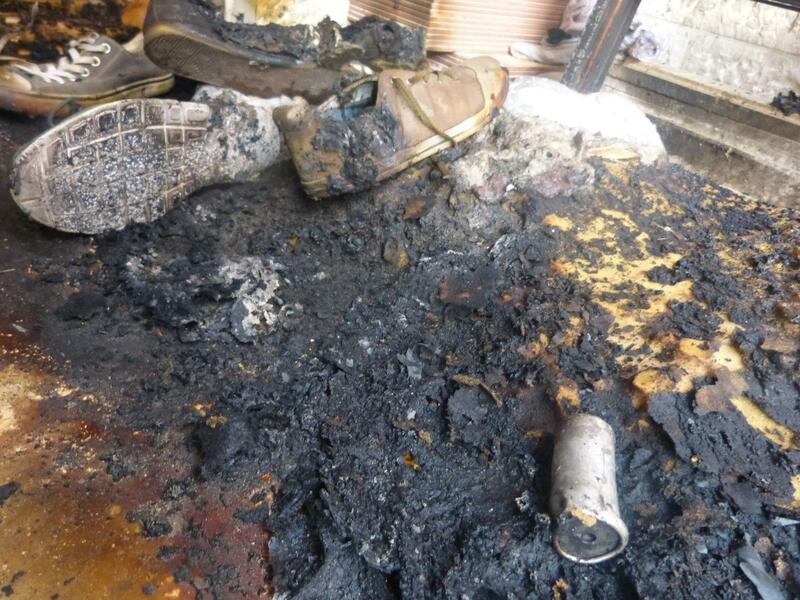 Al Junied is not an exceptional situation in Nablus. Indeed, every week the Israeli army comes and often raids different parts of the city, ransacking houses, arresting people, firing sound bombs and gas canisters.